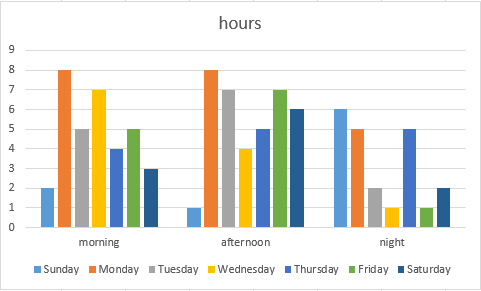 Let’s say you have data on the hours you spent on your work in a week. 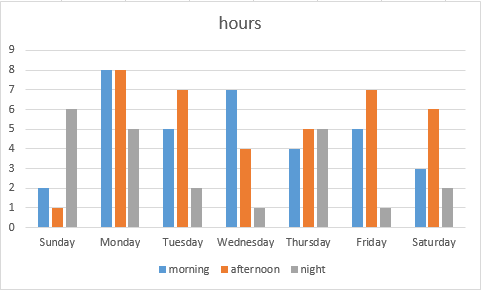 The data is separated into each day, and the day is separated into morning, afternoon, and night. In order to switch axis in excel, you have to perform the following steps. Go to Data >> Switch Row / Column. Now, the X-axis switched with the Y-axis without the need for transposing data.